Do you run a Tattoo or Piercing studio? 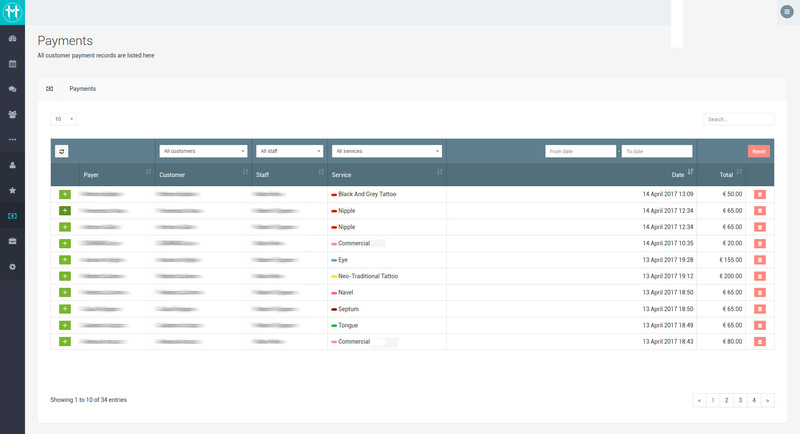 You have definitely got better things to do than managing a complex database of customers. Old scheduling software are designed to operate on one or two operating systems and require you to put in a lot of details, like treatment or costs, and even to check clients in and out. Checkout our powerful but easy to use software! No hidden fee no extra money for modules! We offer a full optional solution for you! 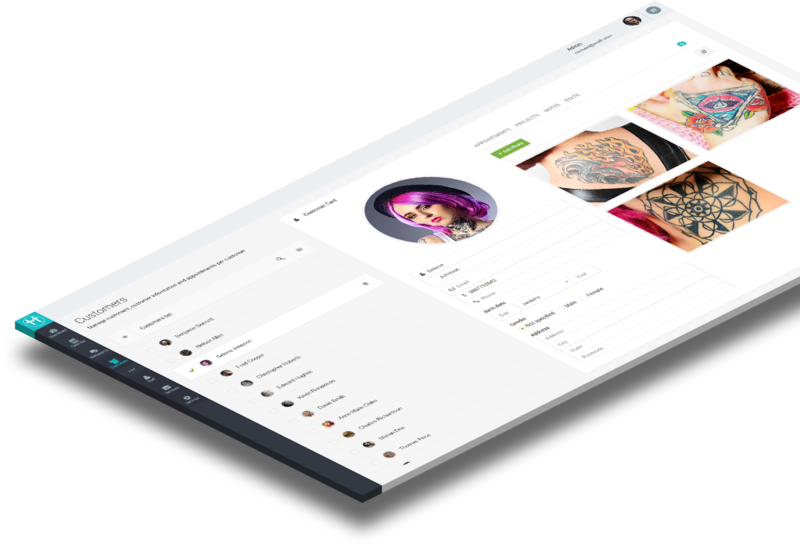 iTattoo also features a real-time instant messaging application, which allows the artist to conveniently chat with their customers, exchanging photos and ideas. Your customer have a change of heart, iTattoo will automatically reschedule the appointment to the next available slot, not before letting the customer know and getting their RSVP either via SMS or e-mail. You can schedule appointments with an easy drag-and-drop, organize them by colors, and iTattoo will handle the rest: sending SMS reminders both to the customer and the artist! Our software is translated in more then 12 languages. German, Dutch, Italian, Japanese, Chinese, Russian and many more! 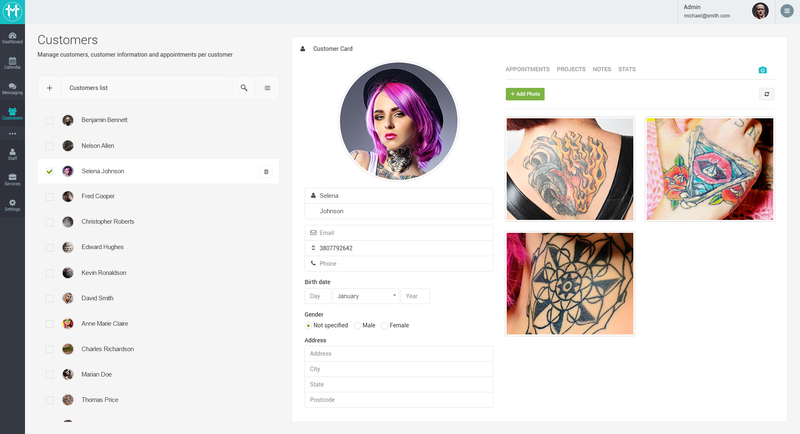 Automatically create Tattoo and Piercing Consent Forms with customers data. Save them in pdf -no more papers around. Our software may work with any OS, you may easily run it directly in any browser. All data in encrypted, secured and always updated. We offer a "full optional" yearly flat plan at a reasonable price. grow with you without changing our price! 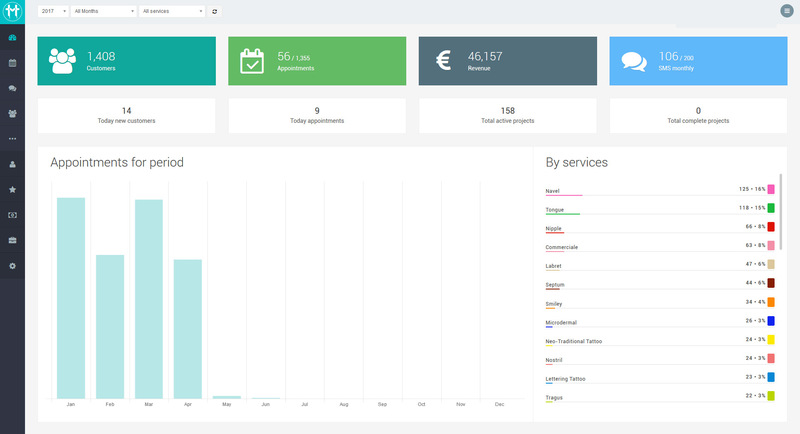 Customer Module Manage your customers information Add their personal data Add project pictures Upload PSD, PDF and much more, up to 2 GB. Does your software work with any Operating System? iTattoo works with any OS. You will need only a browser (Firefox, Chrome, Safari, etc.) and a internet connection. Why shall I buy this software? Schedule appointments with an easy drag-and-drop, organize them by colors, and iTattoo will handle the rest: sending SMS, Push Messages and e-mal reminders both to the customer and the artist! Should your customer have a change of heart, iTattoo will automatically reschedule the appointment to the next available slot, not before letting the customer know and getting their RSVP either via SMS or e-mail. If more than one appointment require rescheduling, it works on a first-come-first-served basis, so that the artist doesn’t end up with any unwanted free slots. What languages does your software support? English, German, French Dutch, Italian, Japanese, Chinese and Russian. Old scheduling software are designed to operate on one or two operating systems and require you to type in a lot of details, like treatment or costs, and even to check clients in and out. They can be tedious and annoying, not to mention they may not run on your Mac! 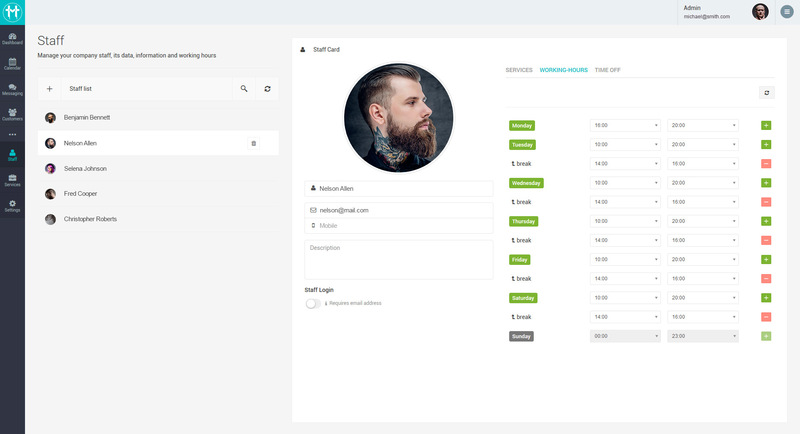 The first Tattoo and Piercing Scheduling Software with chat integration. iTattoo also features a real-time instant messaging application, which allows the artist to conveniently chat with their customers, exchanging photos and ideas. And just in case anyone gets too cheeky, the artist will be able to block their access. 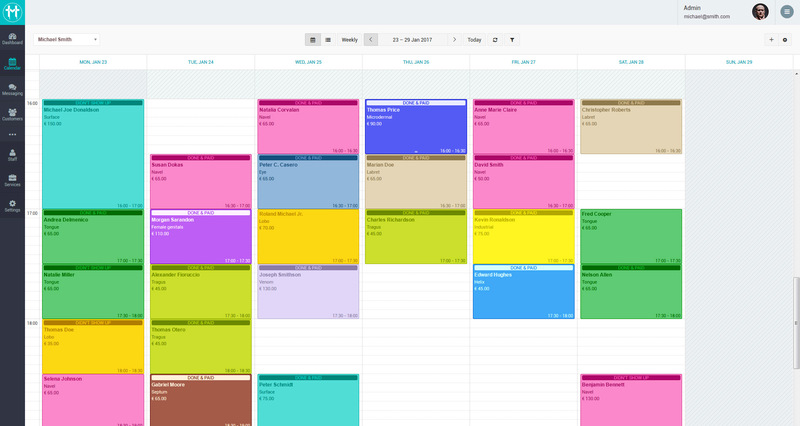 You just schedule appointments with an easy drag-and-drop, organize them by colors, and iTattoo will handle the rest: sending , APP PUSH, SMS and e-mail reminders both to the customer and the artist! 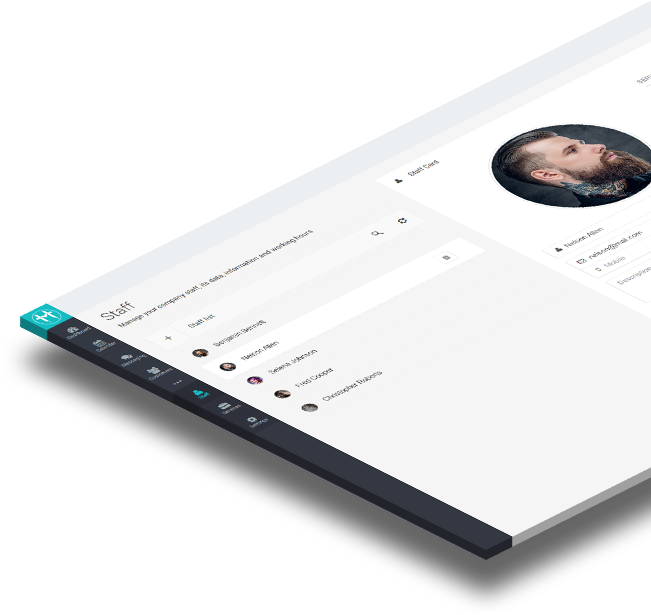 Should your customer have a change of heart, iTattoo will automatically reschedule the appointment to the next available slot, not before letting the customer know and getting their RSVP either via PUSH, SMS or e-mail. If more than one appointment require rescheduling, it works on a first-come-first-served basis, so that the artist doesn’t end up with any unwanted free slots. If you want to get in contact with us, please fill out the form below and we will get back to you within 2 business days.